Sports Concussion: Sport-related concussions occur frequently in collision sports. Concussion has formally been considered a functional injury rather than involving structural brain changes. Most athletes recover quickly but concerns have been raised about the potential long-term consequences of multiple concussions during a career in collision sports. My research interests are in both acute diagnosis, assessment, and management as well as examining the longer-term issues that may be associated with concussion in retired players. Neuropsychology: Neuropsychology is a field that delves into the relationship between the brain and behaviour. Neuropsychological testing examines a range of thinking skills, as well as helping understand the emotional and behavioural effects of a wide range of conditions. I’ve always been interested in sports and I found that studying sports concussion was the perfect way for me to merge my interest and love for sport with an academic pursuit. I was first introduced to sport-related concussion during my undergraduate studies when I was involved in a study in schoolboy rugby players. I'm very passionate about sport-related concussion both from a clinical and research perspective. For the best part of the past 10 or so years I have devoted myself to becoming thoroughly versed in this field to make my own significant contributions through sound research. I would like to be considered one of the world-leading clinical researchers in the field of sports concussion. I want to be able to make a difference in the understanding and therefore management of athletes who have sustained a concussion to ensure that the player’s short- and long-term welfare is considered every time. I would like to run a sports concussion research program that is recognised worldwide as strong and productive. Dr Gardner is an NHMRC Early Career Fellow with the School of Medicine & Public Health at the University of Newcastle, and an honorary clinical research fellow with the Hunter New England Local Health District. He is also a Co-Director of HNEH's Sport Concussion Clinic, an Executive Committee Member of the Priority Research Centre for Stroke and Brain Injury, and serves as a member of the Australian Rugby Union's (ARUs) Concussion Advisory Group. Dr Gardner has conducted research in the field of sports concussion for the past 10 years, having first worked as a research assistant for the New England Paediatric Head Trauma Program. He received first class honours in Psychology (University of New England) in 2005 and subsequently completed a Doctor of Psychology (Clinical Neuropsychology) degree at Macquarie University, Sydney, where he conducted research examining the acute and cumulative neuropsychological consequences of sports concussion in semi-professional rugby union players. His thesis received the prestigious award for the Most Outstanding Dissertation for 2011 from the National Academy of Neuropsychology (USA); the first, and still the only, time this award has been bestowed upon a student who studied outside of North America. During his post-graduate studies he also pioneered and managed the Macquarie University Sports Concussion Clinic. Following this Dr Gardner completed his PhD in the School of Medicine and Public Health, at the University of Newcastle, studying the potential long-term consequences of participation in collision sports. Dr Gardner's research and expert opinion have also been sought for the development of policy papers produced by Brain Injury Australia “Concussions in Sport” (October, 2012), and Alzheimer’s Australia (NSW) “Football, head injuries and the risk of dementia” (March, 2013/March 2016). In 2013 he was invited as a leading early career researcher to contribute to the Australian Academy of Science Theo Murphy High Flyer's Think Tank on 'inspiring smarter brain research in Australia'. He was also awarded an Australian Endeavour Research Fellowship to visit Harvard Medical School for four months in 2014. In 2015 Dr Gardner was awarded the Griffith University Discovery Award from Research Australia as the national early career researcher of the year for 2015. I am currently working on creating the preeminent global research program in rugby (both league and union) examining the acute and longer-term consequences of concussion in active and retired players. I am looking to improve the health and safety of athletes who sustain a concussion, which will be translatable to all athletes throughout the world. 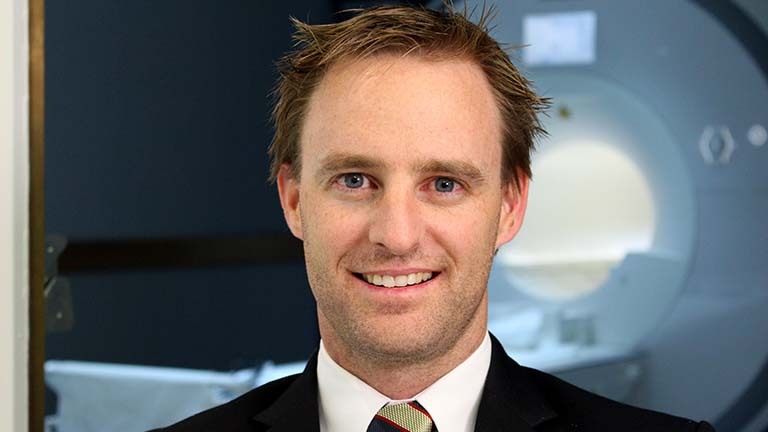 The Greaves Family Early Career Support grant will ensure Dr Andrew Gardner from the Brain and Mental Health can continue to grow his research program in Sports Concusion continue to propel him forward as a nationally and internationally recognised concussion researcher.